I have very few photographs from my maternal grandmother’s side of the tree. While there are plenty of photographs of my grandmother, Anna (Jackson) Shellabarger, there are only a handful of her siblings. I have four of her mother and none of her father. There are no photographs of her many relatives from San Francisco. After my grandparents divorced, my grandma stored her stuff in her sister-in-law’s basement. One day, the basement flooded. I am deeply grateful for the photographs they were able to save. But, it seems no one on this side saved photographs. I have albums filled with photographs of my Portuguese and French relatives. I long to know what these people look like. How do you find photographs when it seems that they are out of your grasp? One answer is school yearbooks. Many schools, especially high schools, colleges, and universities put out a volume every year. These yearbooks are a snapshot of the student body at that given time. If we are lucky and our relatives made it to high school, we might find a photograph of them in one of these books. I recently wrote about my research into the Jones family. This is one of the oldest school photographs that I’ve found. 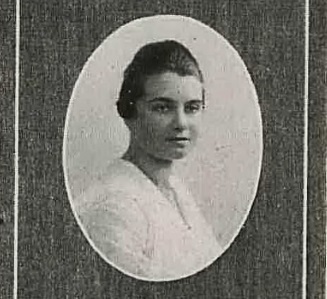 It is of Helen (Phelps) McShea, daughter of Helen “Nellie” (Jones) and William Phelps. She and my grandmother were second cousins once removed. She may also be the first female graduate in Jones family tree. This is her daughter, Helen (McShea) Pearse. 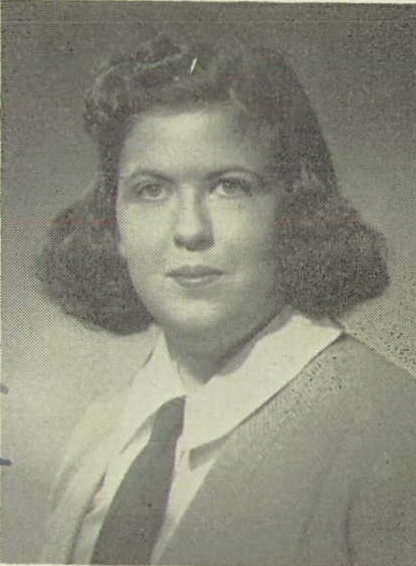 Attending Standford in 1939, she may have been the first female in my tree to go to college. Do you see a resemblance between mother and daughter? Where can you find yearbooks? Many public libraries have yearbooks for the schools within close proximity. These usually can only be accessed on the premises. You may also find them at the institutions they were made for. Some websites are digitizing yearbooks and making them accessible to the public. Ancestry.com has a growing collection. I check ancestry.com every now and then to see if anything new has been added. I’ve been able to find the photographs of several of my grandmother’s cousins over the past year. Now I know what they look like! One thing to keep in mind when searching yearbooks online is that people’s names are often shortened for space. For instance, you may find Melody Lassalle, M. Lassalle, or just Lassalle under a group shot. Be sure to adjust your searches accordingly and remember that with all published works names can be misspelled. If you think you have the right school and year, you may have to go through page by page. It is a tedious task online, but it may be the only way to be sure if a person is listed. Let’s see who I have found from the San Francisco side of the tree! Audrey (Pohley) Bernal 1942, George Pohley 1940, Lyman Pohley 1942, and 2nd Lt. Lawrence Fifield 1950 were descendants of Josephine (Jones) and Joseph Pohley. Charlotte (Newman) Vaughan is the granddaughter of Thomas and Catherine (Kelly) McSwegan. The Garibaldi and Koch families descend from Frederick and Mary (Kelly) Meincke. 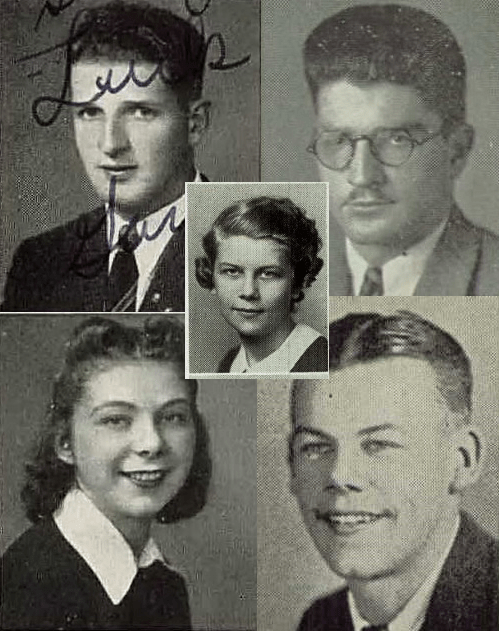 These yearbook pictures are of (clockwise starting in the upper left hand corner) Albert Garibaldi 1939, Louis Garibaldi 1941, Carl Koch 1934, Elvira (Garibaldi) Melin 1939, and Mary Grace (Koch) Calcagno (in the center) 1937. The last one I found is of Robert Bourne, son of William and Alice (Jones) Bourne. 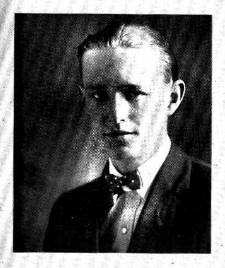 This is from the 1924 Mission High School yearbook. He was on the track team, too. Can you find him? I have no clue which one he is. 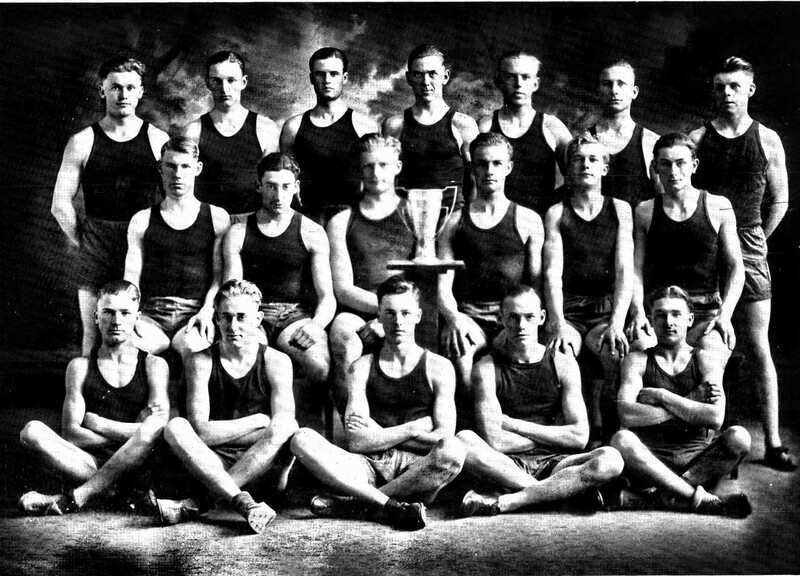 Mission High 1924 Yearbook Track Team. I can’t wait for more yearbooks to be added! This may be the only way I will learn what some of my relatives look like. That is unless some cousins come forward and shower me with old photographs. I am all for that, too!